High school spirit is about lots and lots of energy. Spirit comes from the Latin word spiritus... meaning breathing or breath. And breath gives life and energy. 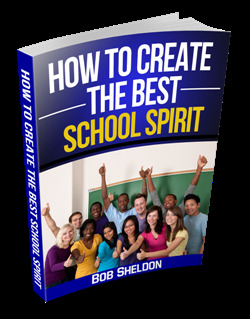 Think of spirit as vigorous and enthusiastic support for your school. The youthful teenage spirit builders on spirit squads and cheerleader teams give it their all... most ably and loudly. Unlike a ghostly emanation, school spirit can be seen, heard and felt. Find spirit gear, noise makers, banners, cheer and fan gear, wall graphics and party supplies too. Plan your spirit fundraiser and let the pep rallies begin! School spirit is best developed through able leadership and example. Your logos and mascots, while symbols of school spirit, also bind students and staff to what's special or unique about your school. Raving highschool spirit is so much more than a logo. It is a display of unabiding support for your school’s activities. It presents confirmation that what you're doing to educate students is working. It is also a way to unify diverse student groups that will be remembered at your high school reunions. For example, all students rallying around a single team creates student body harmony. This cohesion provides the benefits of increased communications and social support. School spirit also offers other important benefits. When your school is strong in spirit, it is reflected in increased attendance, support for activities and even in fundraising efforts. If it were possible to design a tangible form of school spirit, it would be a welcome mat. Spirit says to the community... "you are welcome here." Spirit creates an environment where every student can be encouraged and included. There are many ways to display and boost spirit within your school. Promoting school spirit is usually accomplished by combining several of the above choices. 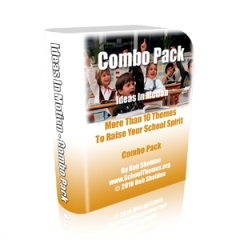 Ideas abound for developing school spirit. All it takes is a little creativity from a few enterprising students... and the next thing you know, your school spirit is soaring. Building unity and spirit in today's predominantly multicultural school environments presents new challenges. In some cases student cultures will be different enough to warrant special understanding about do's and don'ts. However, in most cases spirit can transcend language and culture. If in doubt, attend a high school football game and you will see that everyone can cheer! Boosting highschool spirit is all about planning and determnination. Once you've identified students with the will and desire... provide them with a little coaching, a few noise makers and other supporting resources. Then watch your school spirit soar! Spirit themes should be coordinated with the rest of your school’s activities. Building spirit can be a rewarding experience for students, teachers, parents and the community. Spirit adds a sense of excitement to everything. It teaches everyone to be supportive of his or her local high school. 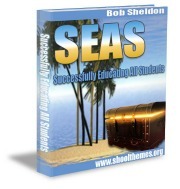 All schools have one thing in common – student bodies that are creative and energetic. Let the fun begin! Put on your school spirit activity pin every morning and join in! Leave High School Spirit and Select Your School Theme!